For our day stop in Cartagena, Colombia we decided not to take any official tour that day. Last minute we opted for a smaller tour with the onboard shopping coordinator. The cost was cheap, only $15 per person roundtrip, payable to the driver before returning. To leave the cruise ship port we were walked through a small zoo area. We didn’t have time to look at the animals, we were told, but we were promised sufficient time at the end of the tour to see the animals. Being an animal lover, passing by the animals and not stopping was a little hard, but I had shopping ahead of me, so that was okay. We were handed complimentary bottles of water. The weather in November was very humid and hot. It reminded me of Florida weather. We were quickly loaded into three buses. We were told there would 2 stops. All 3 buses were going to the same 2 stops, but we would rotate around the destinations. Our first stop was a building that had a small museum on the second floor with samples of emeralds from around the world, how the emeralds are minded, and towards the back, there were some workers hand polishing the stones in their factory. See the green pieces in this huge rock? They’re natural Colombian emeralds!!! The lower part of this building was a store where you could buy, yes, you guessed it, emeralds. I bought some small earrings. I knew what I wanted so once I saw them, it was a done deal. Next, we went to what the call Old Cartajena. It’s the historic and older part of town. The buildings are beautiful! You can see the European influence in their structures. 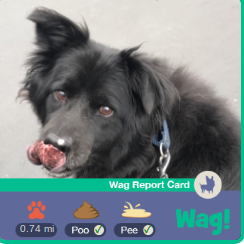 We were told that it was safe to walk the streets in town, but we were closely watched by a group of security guards that were hired by the shopping expert. It makes you wonder. We were supposed to be at a jewelry store, but since I had already bought the emeralds I wanted, I ventured out into the square to see what I would see. I stumbled across a vendor selling arepas. As a small child, I lived in New Jersey where my mom had a Colombian friend who made arepas for me. I immediately jumped at the chance. Eating street is always a risk, but I thought it was worth it. What’s an arepa? It’s fried dough that has cheese inside. I’m holding a half eaten one in the picture below. It’s served for breakfast or as a snack. It’s kind of like the Colombian version of a grilled cheese sandwich. The tour turned out to be very disorganized. One person told us to meet up at the bus. Another told us to wait in front of the jewelry store and another that we wouldn’t leave until 30 minutes later than we did. We wasted a lot of time trying to not get left behind and trying to find out where we actually had to meet our group. Once back on the bus we headed back to the port where we were free to explore the small animal zoo and of course, buy souvenirs on our ways back to the ship. We were told there was a sloth somewhere up on a tree, but we never saw it. We did see monkeys, anteaters, toucans, and macaws. I even got a chance to hand feed one of the toucans. I wished I had more time in Cartajena. Until next time. Our first stop onboard the Coral Princess was the Island of Aruba. I knew very little about the island, except for that Beach Boys song. Oranjestad, the capital of Aruba was our first port of call. I was determined to have it be a beach day. It was a very short stop. We were only there for 4 hours. Some people took the warning about coming back to the ship on time too lightly. We took off and left a couple behind. I don’t know if they caught up with us at the next port or not. I do know that when a cruise says to be on the ship by a certain time, they mean it! We had asked someone from concierge which beach to visit on our short stay and already had a name in mind when we hailed a taxi and headed over there. Once at the beach, we encountered what the locals call a “beach bum”. That’s the person that rents you a lounge chair and umbrella. It wasn’t cheap, but we got a couple of chairs and some umbrellas. The sand is a powdery white. The water was a little cool when you got in, but definitely nice. We were there the day after Thanksgiving. I don’t know if during other times of the year the water is warmer or if it’s always this way. I was sad to leave this beautiful beach, but we wanted to do a little local shopping before we returned to the ship. I’ve learned throughout my travels that taxi drivers know a lot about their country. I asked the taxi driver about their currency and the languages they speak and he was happy to answer my questions. Turns out they have a square coin. I have a relative that collects foreign currency so when I visit a new country I pick up for him usually a bill, but these coins were unusual enough that I needed one. The taxi driver said they were worth something like $0.30 US. Shopping in Aruba on Black Friday was interesting. I didn’t realize that any other country would have Black Friday deals, but they do. We were in immediate need of a selfie-stick since I was pretty disappointed that the one I brought on the trip had broke. On the image above you can see the contents of a vendors booth. Notice that there are a lot white and blue Dutch looking items. That’s because Aruba is a Dutch Island. They even have their own windmill in town. After visiting several stores, I did buy a selfie stick, but unfortunately, it didn’t work. Oh well, we were on our way to the next port. There was no way to exchange it. I travel a lot and it’s the small things that make the trip a lot more enjoyable. 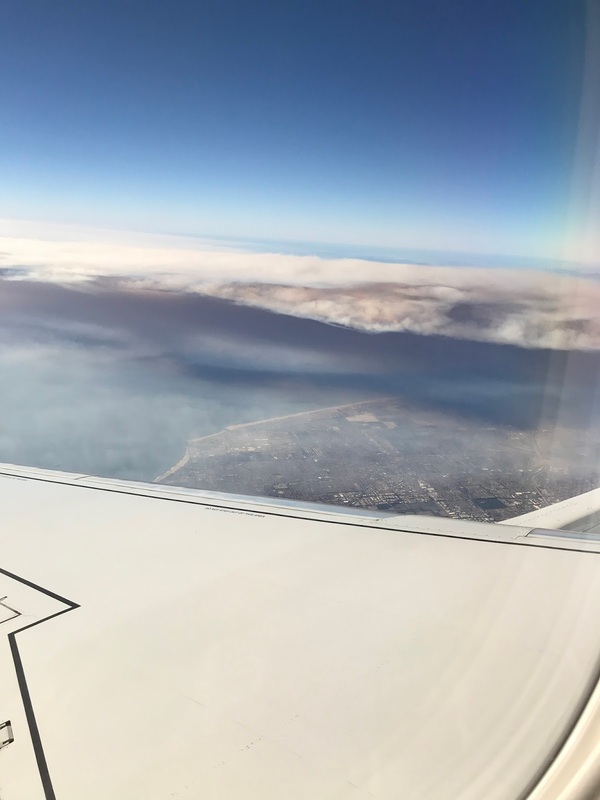 On a recent flight from LAX to SJC, I flew Alaska Air. Honestly, I don’t normally fly Alaska Air for short flights. I usually go on a different airline. This plane was nice, clean, and new. 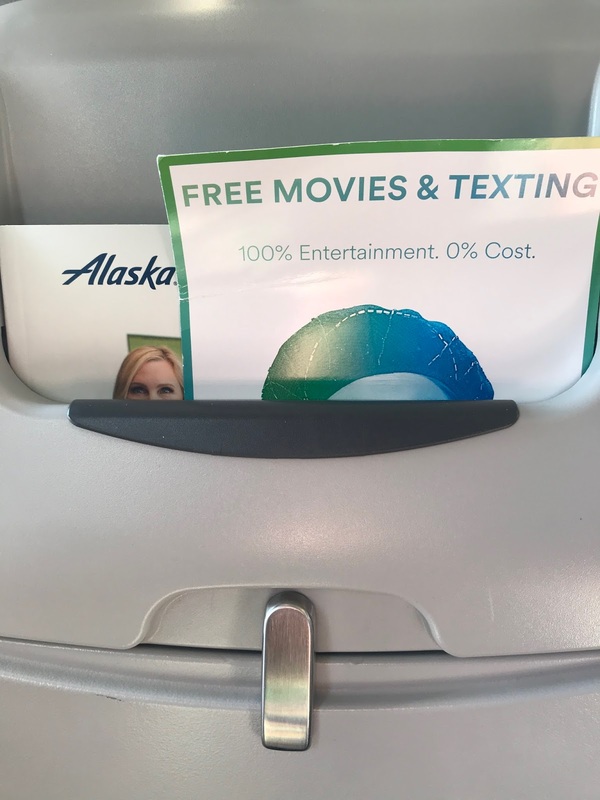 I’ll definitely keep Alaska Air in mind for future travel. 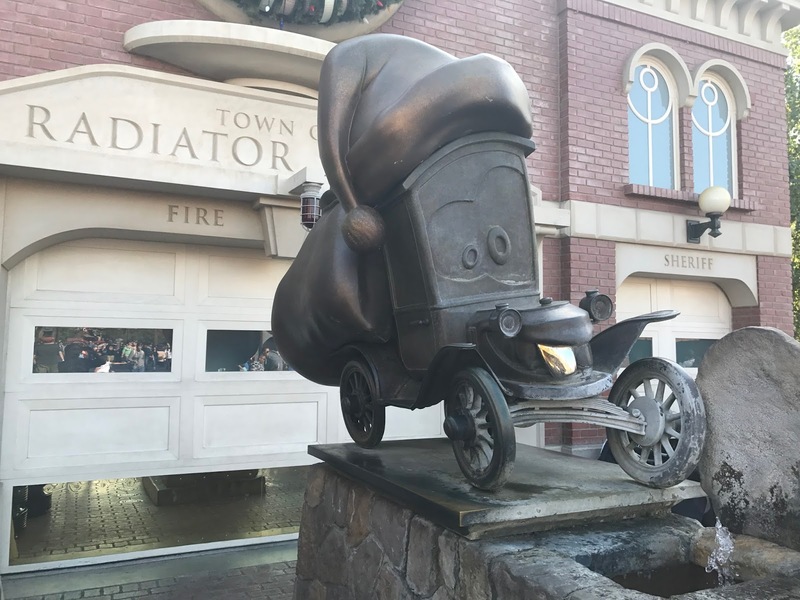 I’m always impressed with Disney. They are so creative!! Don’t skip going to Disneyland during the Holidays. The holiday decor and details are amazing! 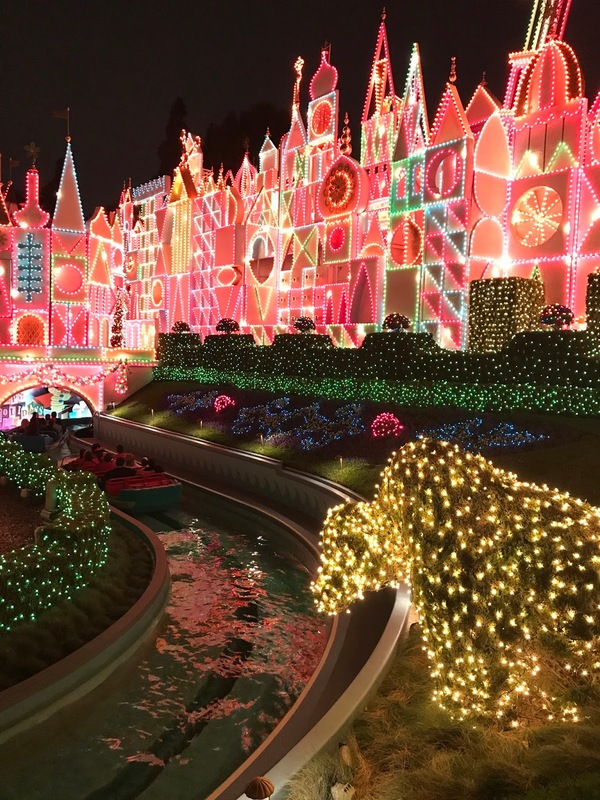 It’s a Small World is transformed into a light show every 15 minutes. 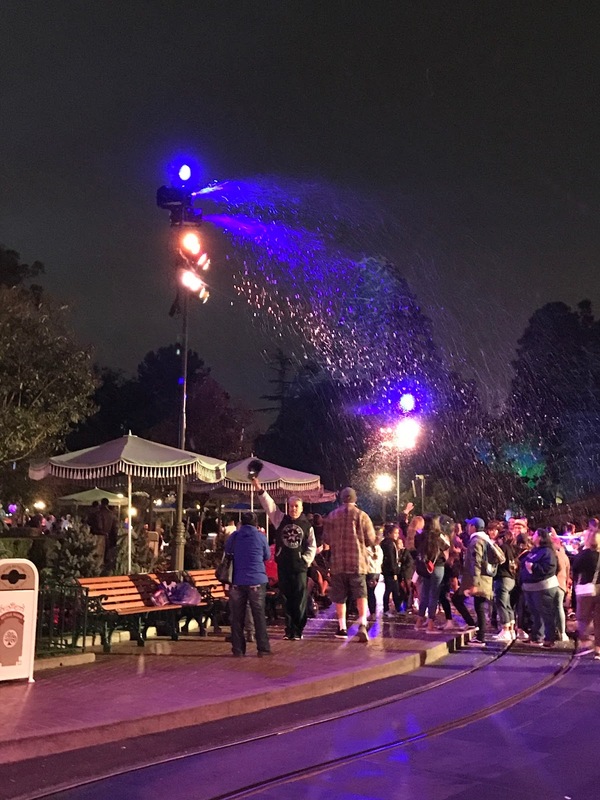 “Snow’ blowing down on the crowds. Just to adding a magical holiday surprise for guests to enjoy. The castle has been transformed into an icy wonderland. My photos don’t do it justice. 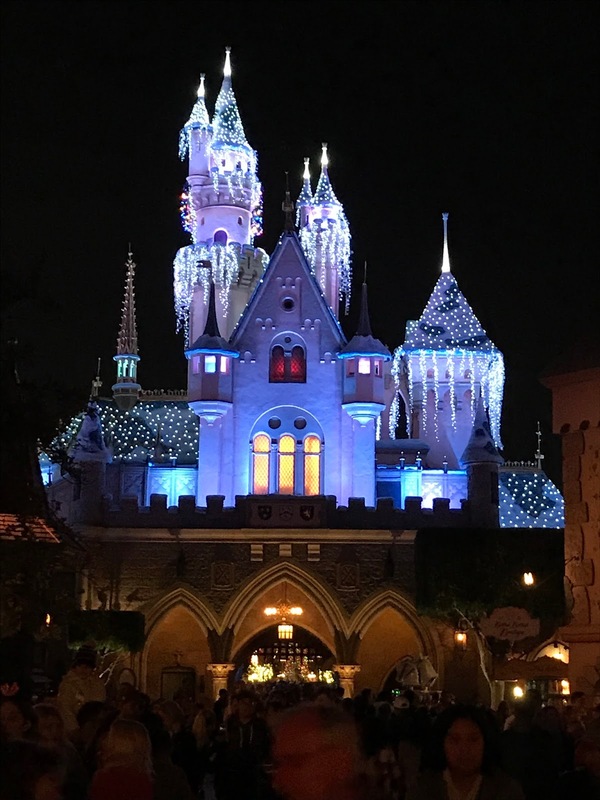 It’s jaw-dropping to see the castle at night when it’s all lit up. 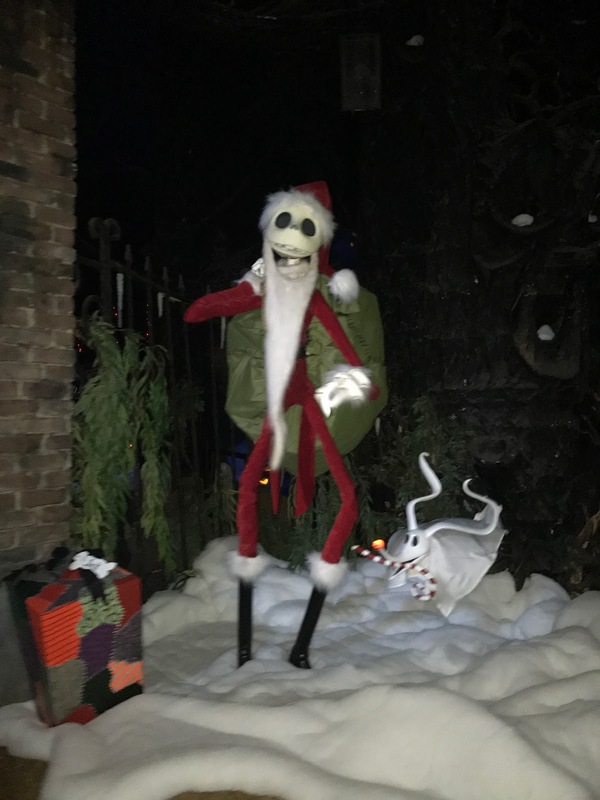 The Haunted Mansion ride has changed for the holiday. I thought this would just mean a few garlands here and there, but no, it’s not. It’s been completely redone with Tim Burton’s Nightmare Before Christmas. 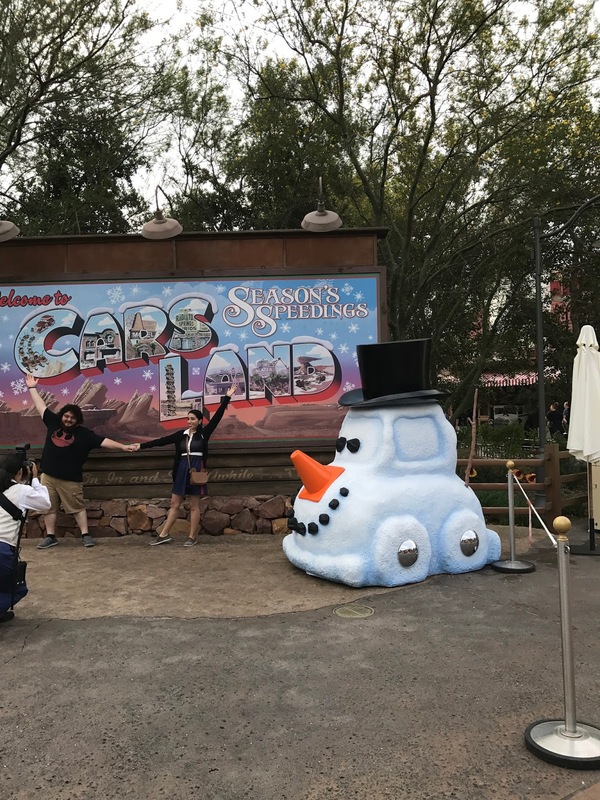 Cars Land in California Adventure is decorated for the season. 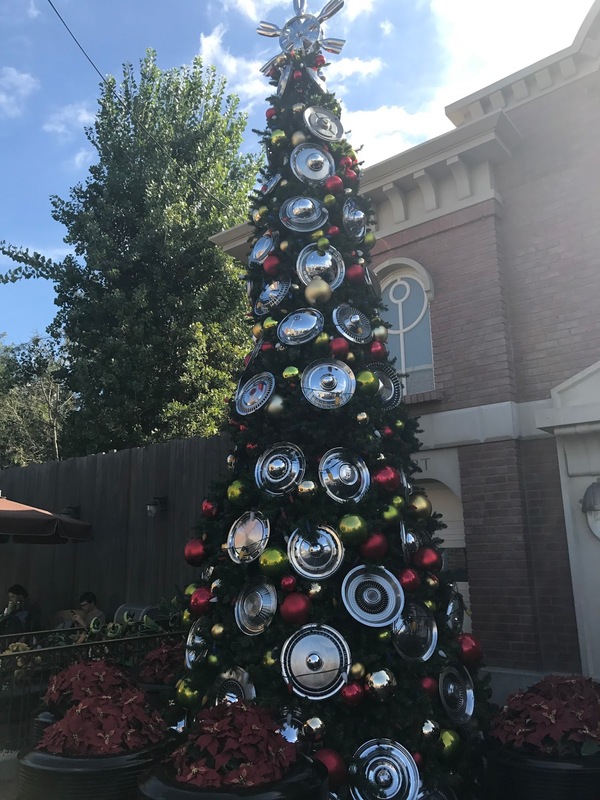 Several cleverly decorated Cars themed Christmas trees. 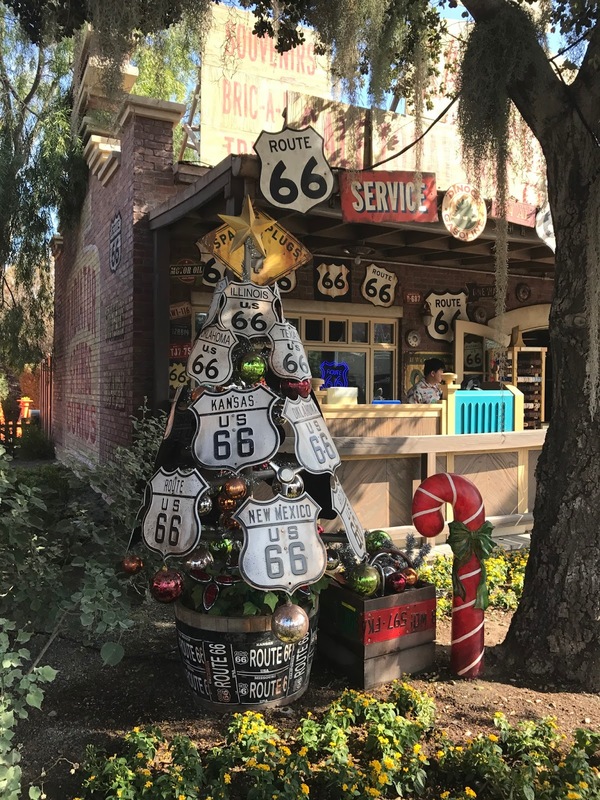 You can feel the Christmas cheer in Radiator Springs. Everyone has a bucket list. 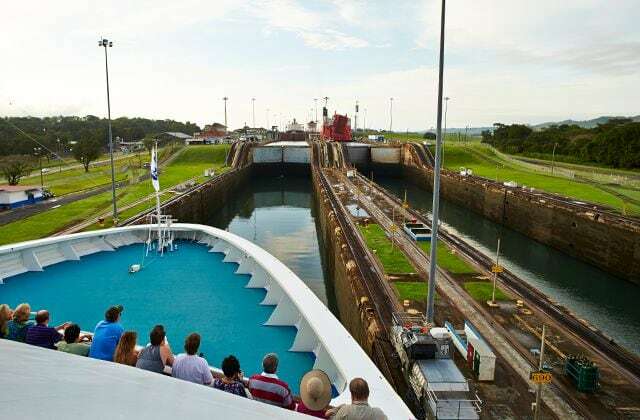 A trip through the Panama Canal from Ocean to Ocean was on my husband’s list for a long time, 17 years to be exact. 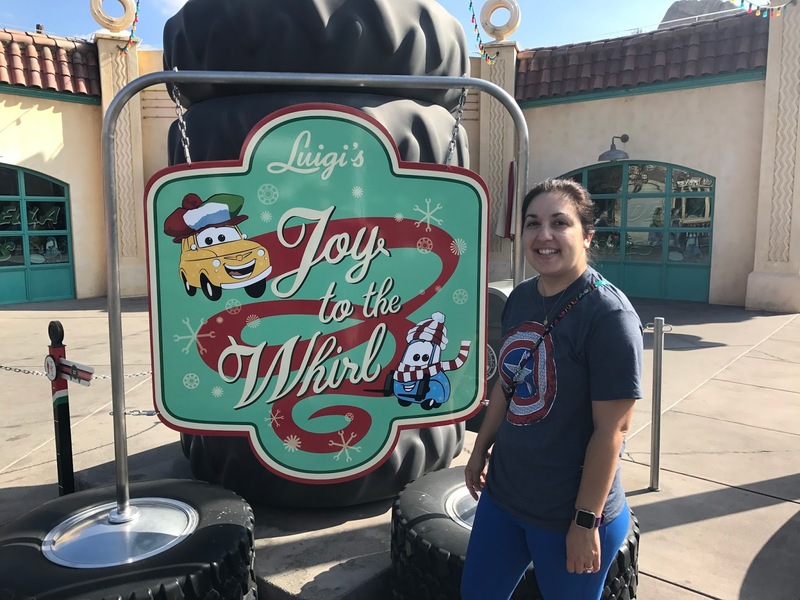 My bucket list has different places, but sometimes the opportunity for one particular trip arises and you have to go with it. It’s a long cruise, 15 days. It will be longest cruise that we will have traveled on. Hopefully, that will work out. I love how comfortable it is to cruise from one country to another. 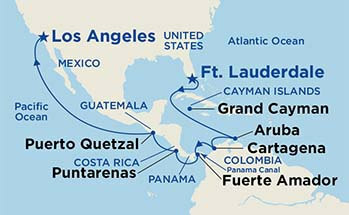 Our stops include: Aruba, Cartagena Colombia, Panama, Costa Rica, and Puerto Quetzal Guatemala. I’ve never been to any of these stops before. Aruba and Colombia new destinations for Jim. 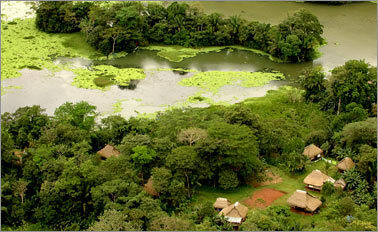 Jim’s doing a Locks Tour in Panama, while I’m headed into the Jungle to do visit a Monkey Island and Wildlife Center. Give me animals over man made marvels any day. We’re doing the Hop on Hop Off Bus in Colombia and that’s it. We don’t have any other tours scheduled yet. It’s hard to tell what is going to be a “good tour”. I’m not a big fan of being narrated to. I like to see and experience things.